The royal wedding is coming together! 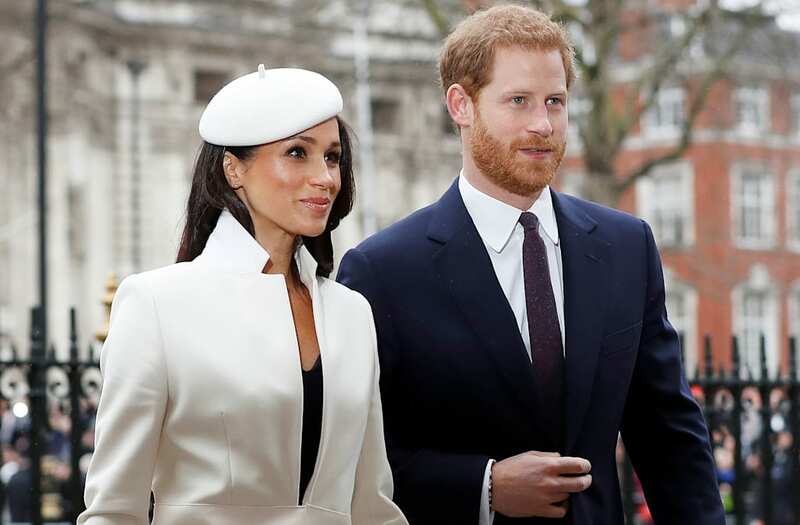 On Tuesday, Kensington Palace announced that pastry chef Claire Ptak will be baking Prince Harry and Meghan Markle's cake for their special day. The dessert is perfect for spring as it will have a lemon elderflower flavor and be "covered with buttercream and decorated with fresh flowers," according to the palace's press release. While Ptak has been the owner of the Violet Bakery in London, England, since 2010, she is from California, just like Meghan! Ptak got her start as a pastry chef under Alice Waters at Chez Panisse in Berkeley, California. Christmas cake slabs still available! The bride to be has been a fan of the pastry chef for some time, and interviewed Ptak for her former lifestyle website, The Tig. Based on Violet Bakery's Instagram, Ptak has a lot of experience with making special occasion cakes, many including real flowers just like the ones described for the royal wedding dessert. A sneak peek at my newest #handpaintedcake with #gilded blue #thistles - see it for yourself tomorrow @bespoke_sf with @chantalevents ! In a post shared last April, Ptak talked about her love of wedding cakes. "Wedding cakes are where I started and I love that I am now going back to them again after many years turning them down," she wrote. "They are so fun to make (albeit stressful) and there is nothing like assembling them in situ and the wonderful reactions that you receive from onlookers." Now that the cake is in place, it's time to talk wedding dresses! Back in January, a source told ET that Meghan, 36, has found a designer for her gown and has had at least one fitting! As for what she's looking for style-wise on her special day, the source added that fans should not expect anything too over the top, noting that Meghan is aiming for "simple and elegant."